G008 - German 76mm Minewerfer. 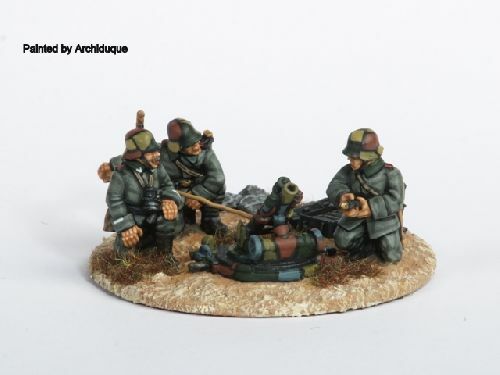 One Mortar Model with three crew per pack. 28mm sized, made of metal and supplied unpainted. The Mortar also requires some assembly using glue. Painted example by Archiduque, who also modelled the figures onto the scenic base.